Cologne – FC Augsburg finished fifth in the Bundesliga last season, enjoying the most successful campaign in their history by qualifying for the UEFA Europa League. The Bavarians are, however, traditionally slow starters and that may give Hertha Berlin reason to believe they can come away from their trip to the WWK Arena this Saturday (kick-off 15:30 CET / 13:30 GMT) with at least a point. Augsburg have yet to concede a goal at home to Hertha Berlin in the Bundesliga, although the Old Lady are the only current Bundesliga side never to have conceded at home to die Fuggerstädter. 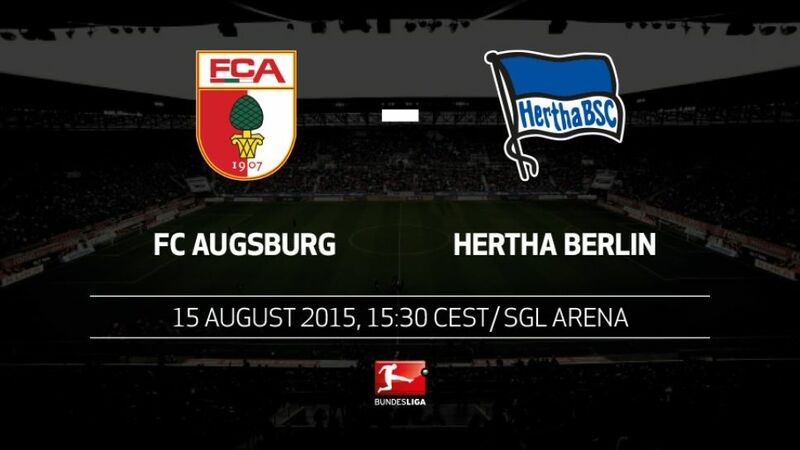 Of the three games in Augsburg, the hosts have won two and drawn the other.Augsburg also have had more clean sheets against Hertha than against any other side in the Bundesliga (four in six meetings).Hertha have never scored a first-half goal against Augsburg, while they have managed to win only one of their previous six meetings.Augsburg have lost their first two games of a Bundesliga campaign in each of their seasons under Markus Weinzierl.In addition to their six Bundesliga clashes, they met twice in Bundesliga 2 in 2010/11, with Berlin winning 2-1 and the other game a 1-1 draw.In the eight previous meetings, there have been six red cards (four for Augsburg, two for Hertha) and three penalties.Halil Altintop has yet to score a single goal against Hertha in 18 previous Bundesliga appearances against them. Only against Leverkusen has he played as many times without scoring.